It is almost warm enough to plant corn. Each year we are getting closer to distributing corn..who knew it was such a challenge to grow GMO free corn?! To us, it is like the chicken of the plant kingdom..everyone loves it and wants to eat it, from a myriad of insects to every animal we have here. 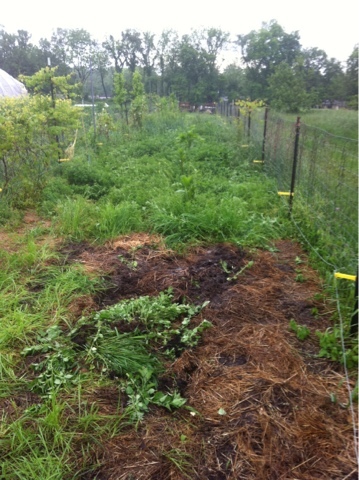 For now, electric fencing is installed and the pigs will head in here to clear every inch. We will watch and monitor for insects. And in August we will keep livestock away from this part of the farm!